Every once in a while, Lagalog is pleased to sift through the news reports (and all that negative news) and find positive developments such as efforts by different sectors in helping bring about environmental conservation. Here, I share two recent ones that concern two important tourism destinations. 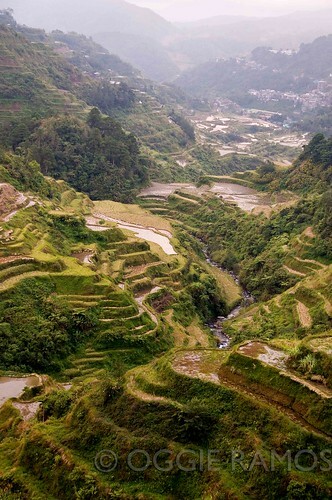 Energizing Ifugao province and the rice terraces. Last month, E8, a group of international electricity companies from the G8 along with Tokyo Electric Power, Co., Inc. (Tepco) and the Department of Energy hosted the ceremonial turnover of the 200-kilowatt Ambangal mini-hydropower plant. 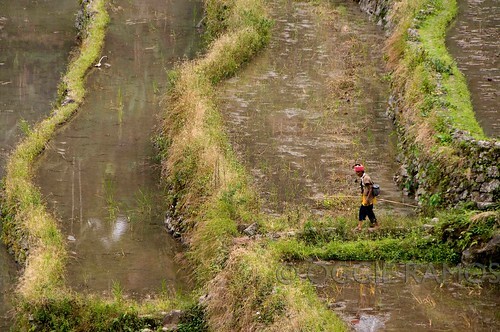 The plant is envisioned not just to generate power for Ifugao communities but also help generate funds for the conservation of the 2,000 year old rice terraces in Ifugao Province. The E8 is composed of American Electric Power, Duke Energy, Electricite de France, ENEL S.P.A, Hydro Quebec, JSC (RusHydro), Kansai Electric Power Corp., Ontario Power Corp., RWE AG and Tepco. The Ambangal power project marks the first time the E8 has established a project in the Philippines. The mini-hydro project is expected to generate 1,443 megawatt-hours of energy per year and a projected conservation fund of P3 million per year which will finance local terrace conservation activities aside from providing a pilot model for renewable energy-based rural development. Keeping clean water flowing in Boracay. A bulletin from the Department of Tourism reports that Boracay is now undergoing a comprehensive infrastructure program to provide 100% water supply and sewerage coverage for the island. 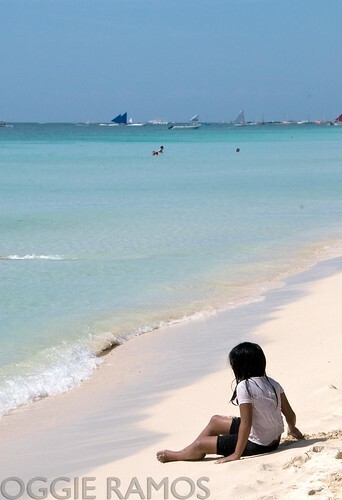 The project is led by the Boracay Island Water Company, a joint venture between Manila Water Company, Inc. and the Philippine Tourism Authority (PTA). 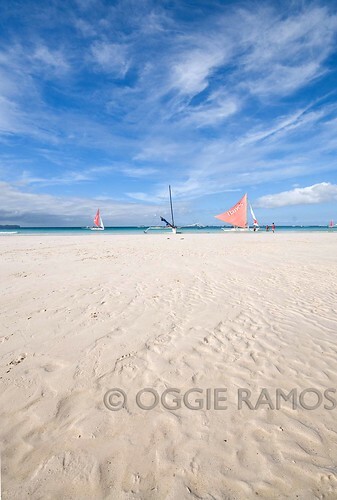 This certainly comes as welcome news as potable water and water pollution are concerns that continue to affect Boracay. In recent years, the sewage problem has not only contributed to the blooming of algae which mars the beauty of this world-famous beach but also raised health concerns as to the availability of potable water. The bulletin reports that 4,000 rooms (!) were added last year and the infrastructure program was a step towards ensuring the island can cope with the increasing tourism demands. In my opinion, development is welcome when it does not harm the environment. In the case of Ifugao Province, I guess we are always searching for a happy middle ground in how to generate much-needed utility such as power in an eco-friendly, sustainable way. The funding the Ambangal mini-hydro plant will generate will go a long way towards helping sustain the conservation of the terraces which have been declared as an endangered world heritage site by the UNESCO since 2001. For Boracay, I think the water project is a step towards the right direction though the long-term effects of unbridled development on the island remain to be seen. Attribution: Ambangal news information culled from the Philippine Star, January 2010. For the complete story, click here. great article bai. this brings us hope and we need more effort since not so much people right now care about the preservation of our tourists spots. i believe some areas in the country doesn't deserve to be exposed yet. good news nga bai. conservation is really not a one-man effort. lahat talaga tayo dapat kumilos to protect our environment. Dom, I share your perspective. There are places here that should be kept hidden. Baka ma-overrun ng development kasi. Oman, the terraces, for example, are a big undertaking. Kelangan talaga rin ng funding from entities who would respect the value of this heritage site to the Filipino and the world. Sidney, indeed, places we should preserve for the generations to come. Thanks for the good news and gorgeous pictures, friend. And thanks for the poetry you left on my blog. OG: Those were certainly neat captures of the farming and beach. I love the beach! This is what you call the perfect place to wind up! I also like the way you write! Thanks Sandy, Fishing Guy and Philippine Travel. Glad you liked the images and the article. I liked the way how to write your article. Yeah boracay is the one of the famous in island. Yeah, clean and care the most important in the island. I love the pictures on your blog. The beaches, the springs, the nature, the people, all so blessed wonderfully. And I must say, almost every city in the Phils. has something to share, like Cagayan de Oro City. loved to see this first photo.. Its a natural beauty. sarap siguro magbakasyon dyan with your family lalo na kung magpapasko na.